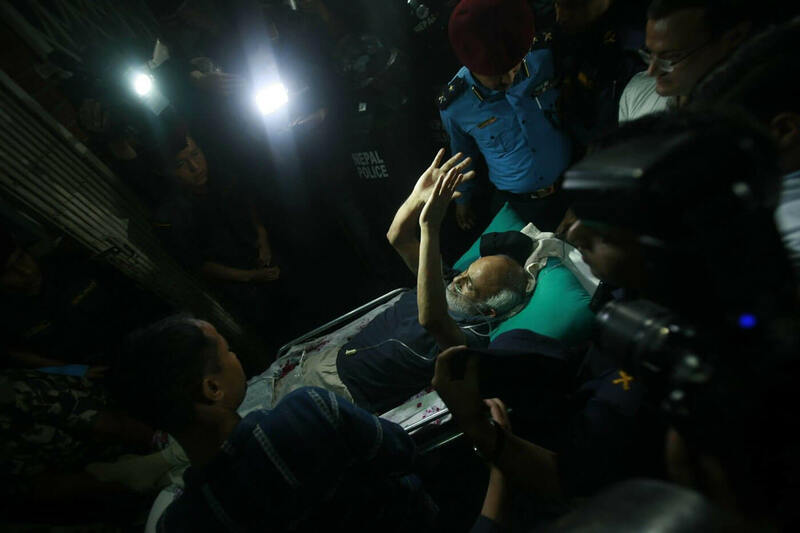 New information shows the government purposely propagated lies to force Govinda KC to come to Kathmandu from Jumla, where he began his fast-unto-death, demanding medical education reform. 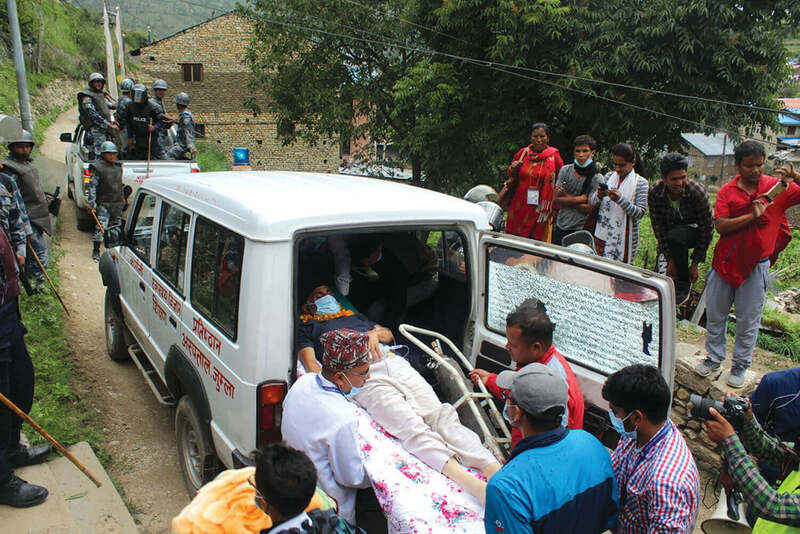 On the morning of July 19, an army helicopter reached Jumla to bring KC to the capital, but the doctor refused to leave. Police attempted to get him out from the Karnali Health Science Academy by force, and in the process fired tear gas and baton charged supporters. As the situation grew more tense, KC agreed to come to Kathmandu, but not on an army chopper. As KC was on his way to the helipad, government sources said the policeman was actually alive. “We had to spread the rumour otherwise the situation would have turned ugly,” a local administration source confirmed. 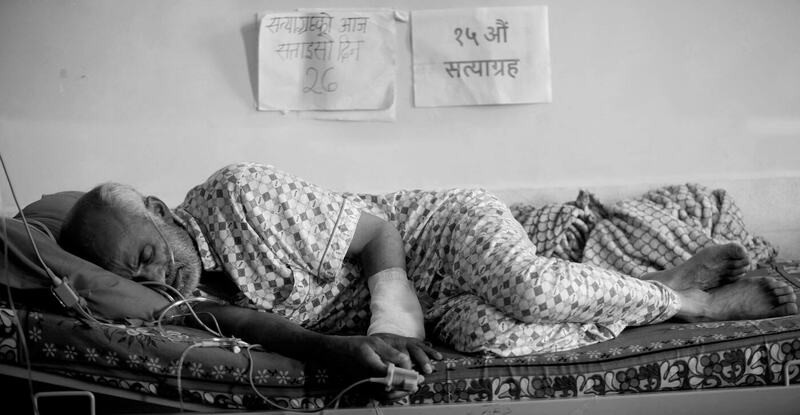 The policeman Kamal Upadhyaya was also medevaced to Nepalganj, where his injuries were found to be minor and caused by a nail.